Wanna write a Christian bestseller? My cousin is a real thinker. He graduated an engineer, then became a patent attorney and never married, so not only can he think, he’s got the time and energy to do it. He’s basically a self-taught theologian. I really applaud thinkers. They get a bad trot in Christendom – written off as all talk, no action. But I think generating ideas is action and can certainly be a catalyst for action. Anyway, cuz really has a message about the Father heart of God – which he says is the apostolic message that’s getting drowned out across modern western Christendom by speakers and authors talking about principles for the successful christian life – e.g. seven steps to a powerful prayer life, three easy stages to holiness, five ways to a horny God-honoring marriage. He wants us to come back to the Father heart of God but to do it, he needs to do some pretty solid and heavy exposition of Ephesians 1-3 and Romans 6-8 and everything else in the bible. When I asked him who his audience is, he says the man on the street – average Joe Believer. But when he tells me what it’s going to take to support his position it sounds like the only people who would be able to digest this high-fibre, zero fat, low carb, extreme protein power bar of thought will be scholars. I explained to him that there are a couple of issues with the rest of the audience. Firstly, there is the dumbed-down audience that love reading the latest from TD Jakes and John Bevere on a certain topic usually outlining how to master a certain aspect of the Christian life (western christian mindset). Today’s Christians are saved by grace and then bust their boilers and give themselves nose bleeds working out their salvation by mastery i.e. applying “proven” principles to get results to be a successful, God-honoring believer (never mind that following Christ and the idea of “mystery” has fallen by the wayside). We might be saved by faith, but we definitely live by trying to figure it all out in individually wrapped bite-sized portions. The dumbed-down audience want to read “safe” authors who are recommended by their pastor or someone else “safe”. Author’s must be able to demonstrate their personal success (i.e. mastery) by leading a large church, loving a happy family (all smiles), speaking at big conferences, owning two large houses, traveling to over 40 countries, writing best seller books translated into 93 languages, having 80,000 twitter followers, with a ministry on TV broadcast to the said 40 countries and soon into outer space (don’t laugh about the outer space, I personally know a pastor who is trying to broadcast their worship and music into outer space). Cuz, I said sagely, we all know you write to this audience to make money – a necessary evil, but then you pour this money into your “vision” so the ends justify the means. The other audience he could try is the non-churched Christians, post moderns and emergents. The issue with these guys is that they don’t want to look at the bible as a text to be sliced and diced and analysed. The bible isn’t seen as a constitution or wiki on the Christian life. It’s seen as a true, earthy, primal story made up of many stories about many people, the central character being Christ. The overarching story is about God and people. So if the bible is a narrative, your writing might want to be…. a narrative! And it better be released for Kindle as well. I explain that modernism takes a technical, analytical, systematic view of the bible producing works like “systematic theology” but emergents don’t want to analyse, they want to synthesise. They don’t want technical, they want organic. They don’t want more information, they want relationship. They don’t necessarily want more knowledge of good and evil, they want life, community, worship and they want this in a social justice, eco-friendly, sustainable and all-inclusive package…. don’t even think of using the word “exposition”. If you write to these guys, you might want to invest in some pop culture (Erwin McManus has his own clothing line and Rob Bell should definitely have his own line of spectacle frames) or maybe you could practice writing stories. Christian fiction is the new non-fiction! Just look at the success of The Shack. After all, everyone loves a good story don’t they? In my last post on parenting with mental illness where it dawned on me that when in recovery, we do have certain advantages in parenting, there is also a dark downside for children. You see I’ve come to also realise over the last few months that I’m experiencing more anxiety that I thought I was and that I was either misinterpreting it, or refusing to acknowledge it because of my determination to get better. A two-day mindfulness seminar put paid to my suppression though. Slowing down enough to actually observe what was going on inside me (thoughts, feelings and sensations) revealed the anxiety simmering away in there. How does this affect parenting? Hugely. I’ve noticed (in another lightbulb moment) that much of the time I’m parenting out of anxiety. Anxiety is informing my decisions and how I behave toward the children. 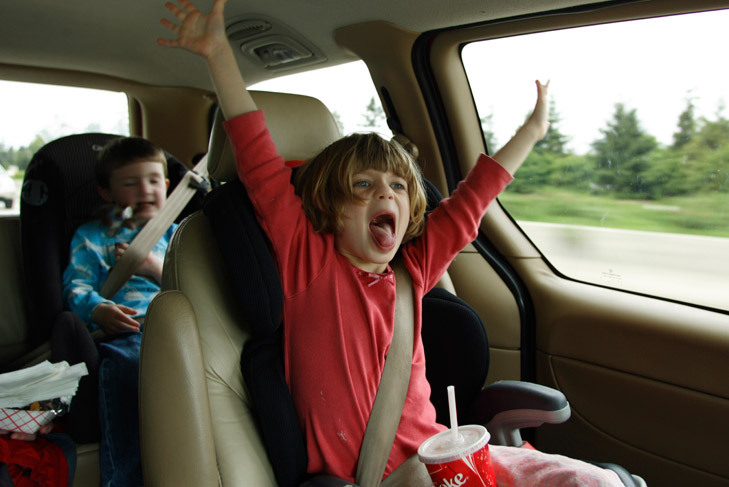 If they’re getting a little rambunctious in the rear seat, I remind them of the rule about no rowdiness in the car, but sometimes even just a little laughter, giggling and squirming can actually really irritate me. This means I repeat the instruction, by which stage they’re too excited to calm down and they continue – muffled giggles now. At this point I’m beyond irritable, I’m angry. I smacked them all after a trip recently with a chinese fan one of them had. Another trip, I made them stand outside the car to “cool off” even though it was raining. I nearly wound down the window on a highway and threw a telly tubby out after it was swung by the small one into the big one’s face (accidentally of course). Imagine what I’m like if there’s an argument in the back seat!!! In actual fact to be honest, none of their behavior was bad. They weren’t doing anything wrong, they were just being kids. When they’ve grown up and left home, I’m sure going to miss that giggling. I know that if I’m doing better, I probably wouldn’t even react – in fact I’d probably giggle with them. Seeing three squirmy kids eyeballing each other and making one another laugh really is a funny sight and would make a great memory. Unless you’re experiencing anxiety. Parenting out of depression and anxiety means we’re not parenting out of values. We’re just trying to control our children in such a way as to manage our symptoms. It’s unfair to kids to somehow make them responsible. I really regret doing this, and now that I’ve realised it, I’m trying to pay attention to it, but it’s really hard to separate out my motives sometimes. I’ve noticed with my wife that the kids do certain things to trigger her anxiety, but it’s more around fear. She will try and control them so she doesn’t feel afraid for their safety. This is really stifling and the kids and I hate it the nagging. “Stop doing that!”, “Come away from there”, “Move away from the edge”, “Get down from that tree, “Don’t touch that”, “Stay closer to me”. She doesn’t even like them walking the 100m from the bus stop to home without being supervised because they have to cross two streets. The fear and anxiety is just too much for her. Having said all this, I guess the question in my mind is “will this harm my children?” Hopefully not. But it’s certainly not what I want for them or for us. I want to live a life and parent out of my values not my illness. I want what’s best for my kids, not what’s least harmful. 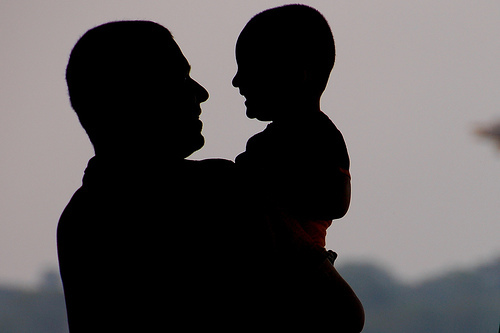 I’ve been invited to work with a national group called Children of Parents with Mental Illness to develop a new website for dads who have a mental illness. I’ve attended a panel interstate and am contributing to a wiki which will then be morphed into the website. Next month, they’re flying down to film my story for the website. In the course of disgorging what I’ve learned about parenting with mental illness it struck me (eventually) that parents with mental illness who are in recovery can actually make better parents! It was one of those light bulb moments for me because I realised that I’d been teaching my kids emotional and coping skills that were never taught to me. One thing that mental illness has taught me is an emotional vocabulary. Before my mental illness, I was an emotional neanderthal. Most men are. If you ask Average Man how he’s feeling, you’ll get grunts to the effect of “not bad”, “fine”, “stoked”, “dunno”, and “alright I s’pose”. None of which are really feelings, and none are very nuanced. In fact he may not even know how he’s feeling. (Yes girls, it’s shocking!) That’s what it was like for me. I’m still learning to be able to know and describe my feelings, but I’m on the way. Mindfulness is helping me observe my emotions impartially and notice where they are in my body and their intensity. Yes I know it’s all a bit girly by normal standards, but normal standards aren’t helpful. What I’ve found is that to be in touch with one’s emotions is to be fully human. So these are the things I’m teaching my kids. To notice their emotions and to be able to describe them honestly and without judgement. To accept them, and yet to not feel compelled to do anything about them. Emotions are the like the car on the road outside our house. They come, and they go. We don’t jump out of our chair and race to the door and feel like we have to do something about them (unless you’re a dog). We can acknowledge emotions, experience them, and be kind to ourselves about what we’re experiencing but we don’t have to be ruled by them or carried away by them. It’s a great way to approach difficult emotions such as pain, suffering, grief, anger, frustration, hatred, rage, jealousy, and rejection to name a few. These are really uncomfortable and hard to process for all of us, so giving kids tools to do it sets them up for life.